Thread Twice Cut, a Science Fiction novel just published. 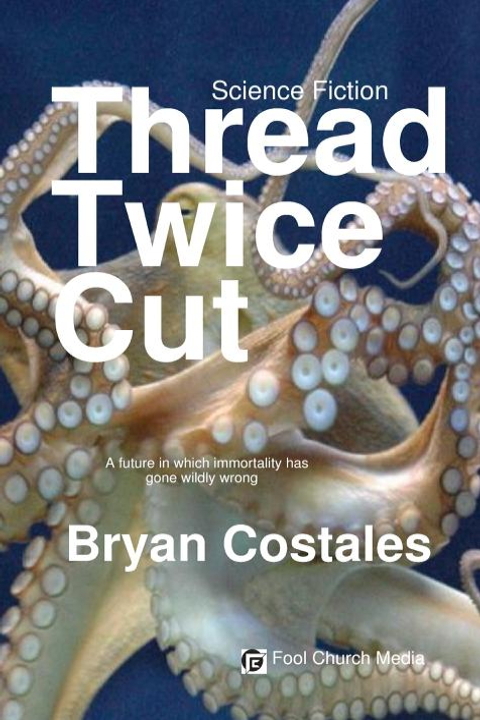 Fool Church Media is pleased and excited to announce the publication of the new Bryan Costales science fiction novel, "Thread Twice Cut." Puppet died in 1986 and was resurrected 300 years later. He can be killed again, despite being resurrected into a world of immortals. Led on a quest by an immortal woman out to kill him, he finds love in an unexpected place. Bryan Costales wrote the very successful "sendmail" (bat book) for O'Reilly Media. His most recent credits are short stories published in The Banyon Review, Romance Magazine, and the Riptide Journal. Bryan lives in Eugene, Oregon where he dabbles in photography.